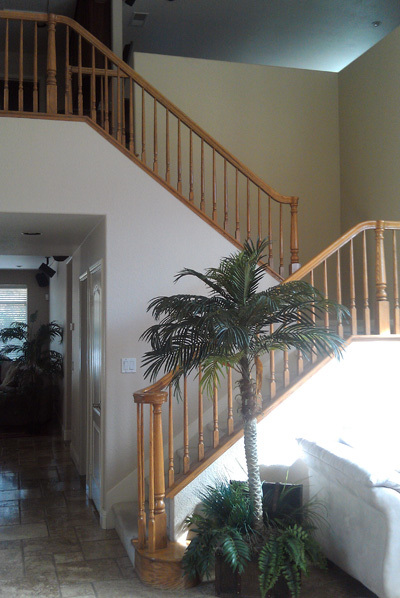 In this staircase remodel the wooden handrail and newel posts have been updated with a more modern look and stained a more vibrant color. The top pony wall was removed opening up the stairwell and decorative iron was installed with a wooden handrail. The bottom stair walls have been removed to define the stair steps better along with the addition of panel moulding and stair skirts. 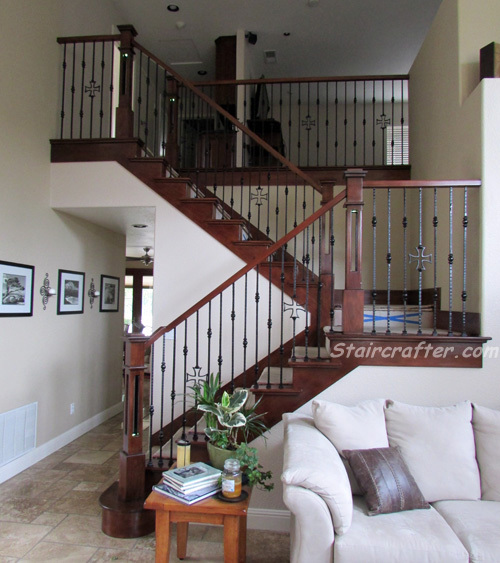 The old wooden spindles were upgraded with a beautiful pattern of single and double bushing hammered balusters and a gaelic scroll.